It may seem crazy but Christmas time is officially here. In my family, Christmas starts the morning after Thanksgiving, and not a moment before hand. Every family has different traditions but for our family, nothing happened Christmas related until after Thanksgiving was over. Often, we would put up our Christmas lights on our house before Thanksgiving but we never turned them on before the day after. What are some of your family Christmas traditions? Let us know in the comments below. Isn’t that amazing?!? I think that is so cool. The truth is, making a flocked Christmas tree takes a good amount of skill. The goal is obviously to make the tree look like it just came out of the snow and landed in your living room. The way I look at it, you can find these trees in three different intensities: kinda flocked, sorta flocked, and fully flocked. Kinda and sorta flocked are very close in style. The true difference is in the amount of flock that stuck to the tree when it was being created. Our fully flocked tree is different, though. Nearly ever inch of these trees are covered in “snow”. Plus, because these trees are made individually each tree looks different. Come down to the store and pick out the on that speaks to you the most. We have even had families come all the way from Lubbock to pick out the best Christmas tree for their home. Check out their story on our Facebook page. 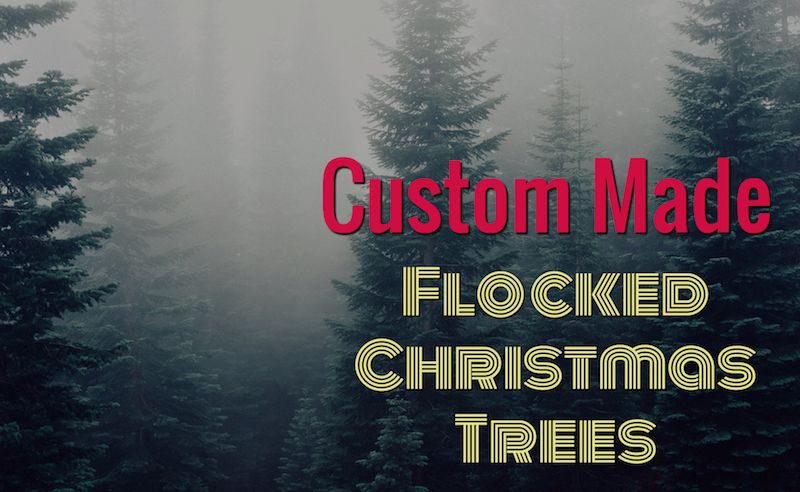 Be sure to like the page and give their story about finding the prefect flocked Christmas tree a thumbs up. Check back on our Facebook page and this blog to see are the great things we have in store this Christmas season!